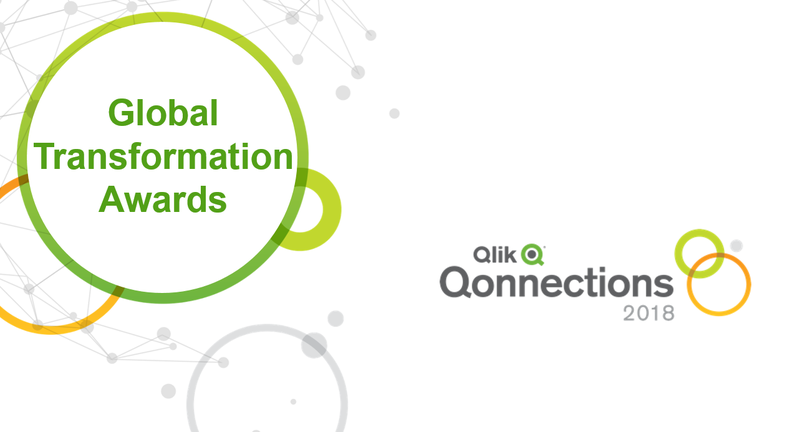 This year at Qonnections 2018 we debuted our first-ever Global Transformation Awards! Qlik is proud to honor these organizations and help them through their journey as leaders in the analytics economy. Each of the winners demonstrated success using Qlik to tackle key challenges, be it in Customer Intelligence, Reimagined Processes, Identifying New Business Opportunities or Balancing Risk and Reward. AbbVie – a global research and development-based biopharmaceutical company committed to developing innovative advanced therapies for some of the most complex health issues. The company’s uses its insight and expertise to find cures across many different areas. AbbVie uses the Qlik Analytics Platform to analyze product performance and for extracting insights for field-based applications. Avon and Somerset Constabulary – Among the largest police forces in the U.K. With about 5,500 employees and nearly 2,700 officers, this organization deploys Qlik Sense to identify and manage live time demand, officer availability, officer workloads, suspect management and reach insight to support problem solving duties. Condé Nast – A media company well known for high quality content for the world’s most influential audiences. Qlik helps the publisher develop insights for internal and external stakeholders around company performance and products. From gathering sales performances across brands to visualizing content consumption for optimizing ad operations, Qlik’s data visualization tools help Condé Nast produce world-class experiences for over 120 million consumers. NSW Health – The largest health care system in Australia and among the largest in the world. The organization has been using Qlik since 2012, helping develop the Activity Based Management (ABM) Portal. The ABM platform provides a clear and a complete view of the entire patient journey, enabling users to find connections and correlations between cost and models of care. Thus, finding ways to improve care, leading to better patient outcomes.